Teenage Dream is a pink color changing thermal with black, purple, and pink hex glitters. It's supposed to shift to a darker shade of pink, but as you know, I'm still a noob when it comes to thermal photography lol. I didn't use an undie, so as you will see it's very sheer and this is at 3 coats. California Gurls is another color changing thermal that shifts from light pink to dark pink. This is 3 coats. 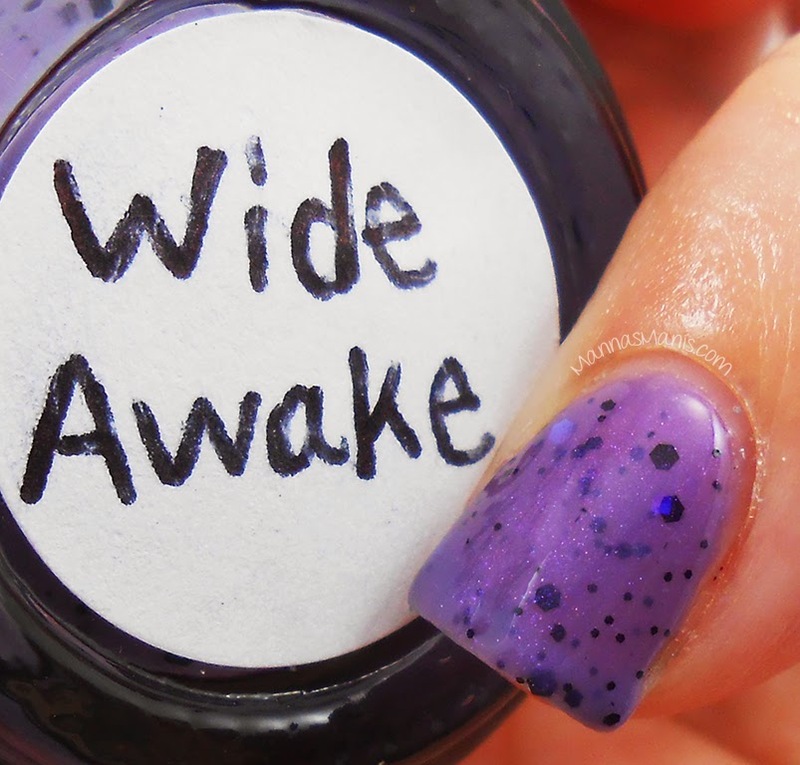 Wide Awake is a color changing thermal (are you really surprised by now?!) that shifts from light purple to dark purple. I think this is my favorite out of the 4. It's insanely gorgeous. I think I totally spaced while swatching this one and forgot it was a thermal! That's what I get for having a swatchathon. This is 3 coats. Licorice is a color changing thermal that shifts from pink to purple. This is 3 coats. 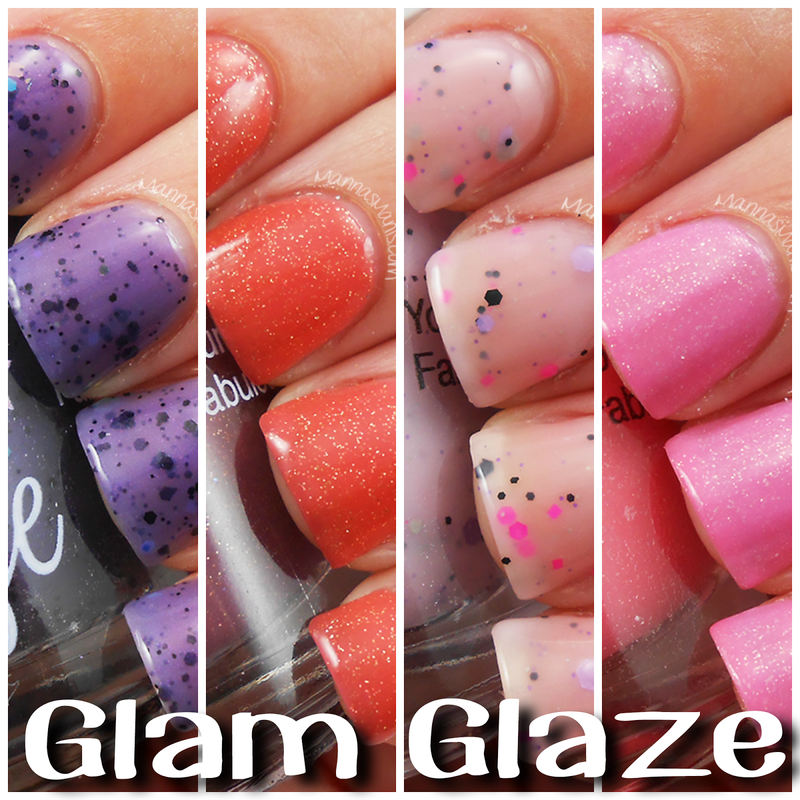 Glam Glaze can be purchased HERE. What do you think about thermal polishes?